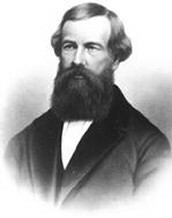 In 1852, Elisha Otis built the first safety elevator. 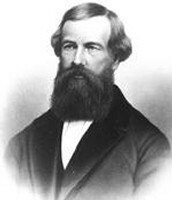 Elisha Otis came to this invention when he was working as a master mechanic for a firm that made bedsteads. In 1852 the firm sent Otis to Yonkers, New York to oversee the installation of machinery in a new factory. While Otis was there he invented the safety elevator. The difference between the regular elevator and the safety elevator was that the regular elevator didn't have a backup safety mechanism. So when the rope that holds the elevator car broke the elevator would come crashing down. This all changed with the invention of the elevator brake. In action movies, elevators regularly plummet to the basement, landing in a spectacular ball of fire. Is this possible? Find out what keeps elevators riding smoothly. Normal elevators back in Elisha Otis' didn't have a backup safety mechanism, so if the rope that holds the elevator broke the people inside the elevator car would come tumbling down.The elevator car moves by something called the governor. The governor moves the elevator car up and down by a system of pulleys. One pulley is stationed at the top of the elevator shaft and the other is stationed at the bottom of the elevator shaft. If the rope that holds the elevator has been cut in any way, the elevator car will let go of the main rope and engage a safety measure which is the elevator brake. The brake works like a car brake. It pushes against the two sides of the guardrail until the elevator has completely stopped. This invention was an important discovery because it mainly prevented people from falling to their deaths if the main cable breaks. This invention made elevators safer and made people confident that they wouldn't die if the main cable breaks. 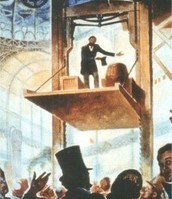 The elevator has evolved today, for example in 1880 a German inventor made the electric elevator. Another example was in 1734 when King Luis XV asked to make a platform where he could ascend to his mistress' room which was one floor above his room. This elevator was man-powered.